Without a truly global championship, many consider 2018 an off year. But if you look closer, the year was full of some big meets, including the European Championships, Asian Games, and Commonwealth Games. The year also featured a changing of the guard, with a new name sitting atop the list for the first time in four years. Our complete annual rankings for the men’s hammer are below. Check back this weekend for the women’s rankings. Slow and steady, Nowicki keeps getting better and better. A few years ago he was lucky to sneak onto a podium and now, before you know it, he is the world’s best hammer thrower. 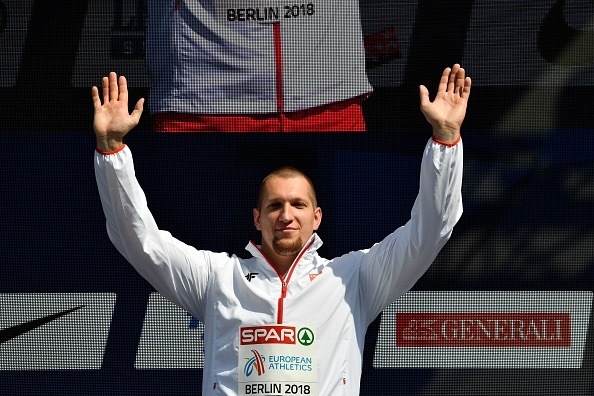 Nowicki had a stellar 2018 campaign, improving his personal best by more than a meter, producing the best throw in the world, hitting 80 meters in six meets, and dominating the European Championships. Other than a poor performance to end the season at the Continental Cup (which featured a strange format), he placed top three in all competitions. He was victorious in seven of 12 competitions agains Pawel Fajdek and lost to only one other thrower this year excluding the Continental Cup. After three years at the top of the ranking, Fajdek dropped to second this year. It was hardly a bad year for Fajdek, and had Nowicki not improved he may have retained his top ranking despite having his lowest season’s best since 2011. After all, he never placed lower than second all year and had five 80 meter performances. But Nowicki had his number in the majority of their head-to-head competitions. And at the major meet of the year, Fajdek’s sector foul problems returned as he produced four fouls in six throws. Still just 21 years old, the young Hungarian keeps pushing his way up the rankings. After a breakthrough performance in 2017, he made his debut on the rankings last year. This year he found consistency. In 2017 he had just two meets over 76 meters. This year, he had 13, including a bronze medal performance at the European Championships. He was also the only athlete other than Fajdek to beat Nowicki twice this year. The top three in this year’s rankings are a class above the rest of the field. The rest of the throwers were separated by the narrowest of margins. Bareisha had an up and down season, but had a solid performance at the European Championships, the top meet of 2018. In addition, he had winning records against all of his closest competitors. The Asian Games barely get covered by the western media, but it is one of the world’s top championships with competitors representing two-thirds of the world’s population. Asian hammer throwing used to mean just Murofushi, but recently depth has increased at at this year’s Games Seify took the title and also competed well in a few appearances on the circuit. Olympic champion Nazarov was the favorite to win the Asian Games, but he ended up with silver. He competed quite well on the circuit, but still lost three of five competitions against El Seify. Marghiev leads another pack of European throwers. His results were slightly down this year, but he was consistent, especially against his closest competitors. For example, he won three of five competitions against Marcel Lomnicky and three of four competitions against Nick Miller. Lomnicky jumps back onto the list after falling off last year. He seemed posed for a strong finish at the European Championships after a consistent start to the season, but fell short in the finals. Still, he won three of five against Miller and also ranked 5th overall in the IAAF Hammer Challenge. Miller started the season on fire, becoming just the second new 80 meter throw in the last four years. 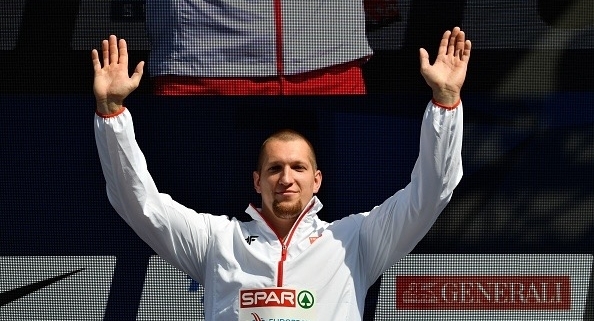 At April’s Commonwealth Games he set a new games record and won by nearly six meters. But unfortunately that was the high point of his season. In 11 meets in the summer season he averaged just 73.93 meters, posting losing records against key rivals in the rankings. Henriksen makes his debut on the list after a breakthrough season with five new Norwegian records in three meets, including two records to finish fifth at the European Championships. Based on marks alone, you could make the case for ranking him even higher. However the IAAF Hammer Challenge tends to invite the same group of throwers, so he didn’t get more chances to shine more against the top names. Ivan Tikhon and Esref Apak were close to earning a ranking, however despite a 6th place finish at the European Championships, Tikhon’s resume was thin since he only competed two times this year. Apak also had good marks in Turkey, but less so abroad.